The mission of NODA-The Association for Orientation, Transition, and Retention in Higher Education is to provide education, leadership, and professional development in the field of college student orientation, transition, and retention (OTR). To that end, the NODA Board has embarked on strategic planning efforts that support their mission and vision of being the premier association for professionals in orientation, transition, and retention. NODA has a long history of collaboration and communication with the Council for the Advancement of Standards in Higher Education (CAS). The CAS standards for Orientation Programs (2011) have provided the framework for developing and assessing effective and accountable orientation programs and services for many years. Further, CAS provides the Characteristics of Individual Excellence for Professional Practice in Higher Education, which are general professional competencies to practice and apply the programmatic standards and guidelines. However, the orientation programs CAS standards do not provide specific competencies for OTR professionals. The NODA Core Competencies were established to fill the gap and offer direction for guiding individual personal and professional development in orientation, transition, and retention. The NODA Core Competencies were designed to be the organizational system for knowledge, skills, and abilities of all professionals. Competencies are a “benchmark for defining a profession” (Havice, 2015). Competencies not only provide a common framework and foundation of skills for professionals involved in the association, they also create opportunities for professional development and help advance the skills and experiences for all levels of OTR professionals. The twelve categories for the NODA Core Competencies are as follows. Click here to view the NODA Core Competencies in greater detail. 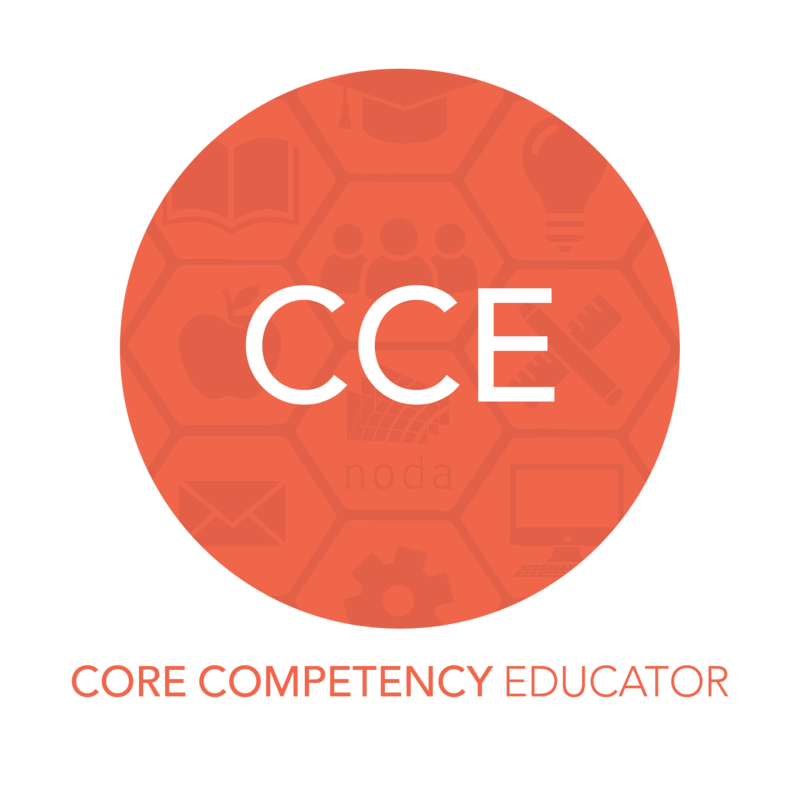 Core Competency Educators are individuals with advanced knowledge or experience in one or more of NODA's Core Competencies and are looking for opportunities to help other professionals progress in their professional development. They may be asked to act as mentors, offer tangible examples for learning, share knowledge at the NODA Annual or Regional Conferences, and make recommendations about how to bolster learning around specific competency areas. Core Competency Educators will also contribute in the development of learning modules related to each Core Competency, which will serve as a way for members to increase their awareness and knowledge of the competencies. Click the image below for an expanded view.